Leicester City stunned the whole sporting world last year when their hot streak managed to last an entire season and they went on to claim the Premier League Trophy in what was dubbed a fairytale. The reason this was so surprising to people is that Leicester City had not spent the millions, or even billions, that most trophy winning teams spend on players. In fact, their entire squad was £57 million, which is considerably less than Manchester United paid for just one player, when they spent £90 million on Paul Pogba. Their team was full of players that hadn’t really proven themselves at the top level. With the exception of Robert Huth, they hadn’t played for any of the top sides in the Premier League. Huth had played 42 games for Chelsea almost a decade earlier and was certainly heading into the twilight of his career in the 2015-2106 season. 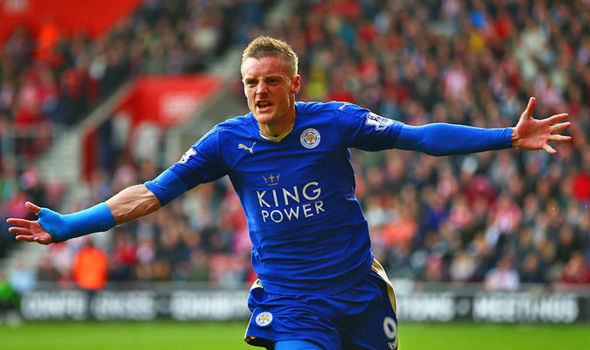 The sensational goal scoring exploits of Jamie Vardy was the stuff that every schoolboy dreams of. A mere three seasons earlier, Vardy has been plying his trade at non-league side Fleetwood Town. To go from this, to breaking Ruud van Nistelrooy’s record for scoring in consecutive matches, was an incredible feat. Furthermore, Vardy wasn’t a young player trying to make his way up the football pyramid; he was in his mid-20s when he signed for Leicester. So how exactly did this team manage to perform so well, week in, week out? Some would argue that the brilliance of manager Ranieri made this all happen. His fun and jovial approach in interviews took a lot of the pressure off the Leicester players when the media were getting excited about the climax of the season. It could have been easy for him to get carried away with all of the attention, and this would have filtered down through the players. If you can cast your mind back, think about the famous Kevin Keegan meltdown that led to Manchester United overtaking Keegan’s Newcastle United from a seemingly impossible position. Ranieri could easily have gone down this route, but instead, he enjoyed every minute of campaign, or so it appeared. This must have had a very nerve-settling impact on his players, knowing that even if they fell at the last hurdle, they had achieved so much. Unfortunately for Ranieri, Leicester were unable to continue the success of the previous season, and he has recently been sacked, an act that has received criticism from many areas of the footballing world. This just goes to show how quickly results are demanded in the top tier of a sport that is built on money. At the beginning of last season, the Premier League title odds for Leicester to win the league were as far out as 5000-1. It is unlikely that we will ever see a team that was so far out, be able to achieve such an astonishing feat ever again. Leicester City players and fans will always have the 2015-2016 season to cherish and look back on.